You and your guests will be comfortable with our calm and personal approach, ensuring relaxed and beautiful images. We strive to produce exactly the photographic reportage you envision without being invasive. We are also dedicated to learning your style, how you interact with one another, and who you are as a couple. Tailoring our talents to fit your personalities makes for honest images that express the core of your relationship. 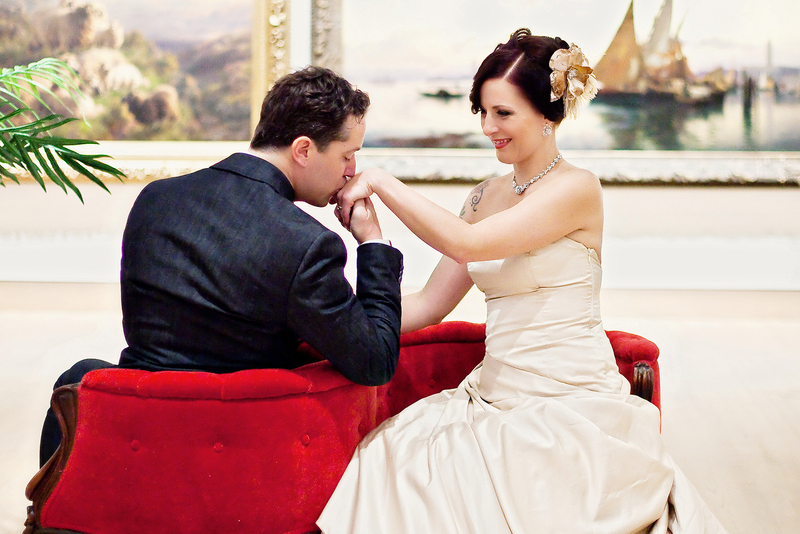 When you book your wedding photography with us, both parties sign a Photography Agreement. This is a legal contract that states exactly what type of services you have ordered, how much your investment costs, what the liabilities are, and exactly what is expected of us on your wedding day. This protects both parties and ensures there are no surprises. Due to the demanding nature of wedding photography schedules, we require a non-refundable retainer of 25% of the total package cost to reserve your wedding date. The rest is to be paid two weeks before the wedding day. For locations outside the Greater Seattle/Tacoma area, there is an additional travel fee of $200. For locations outside of the Pacific Northwest, there is an additional cost of airfare and 1-2 days of hotel accommodations, depending on logistics. We give a 15% discount for weddings off-season (October – March, with the exception of New Year’s Eve), and for seniors (bride(s) and/or groom(s) must be 60+). 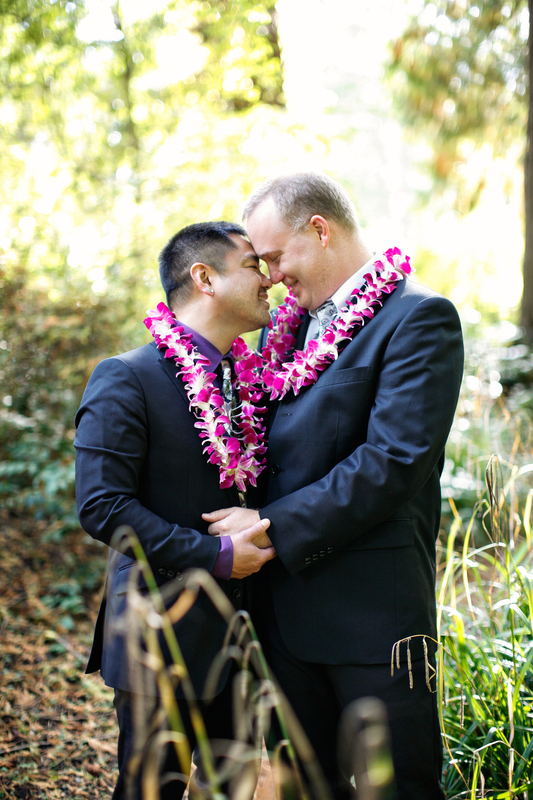 Anywhere from 6 to 18 months before your wedding date is ideal. Good wedding photographers are often booked far in advance, especially for peak season (spring/summer months). We typically don’t book more than 18-24 months in advance, as our prices and offerings may change in that timeframe, but we’d be willing to meet for a consultation and discuss our services and your wedding plans. No. We find the benefits of shooting digital far outweigh shooting in traditional film methods. The cost of film and labor increases, while the amount of pictures available to the client decreases, therefore making digital a more viable option. Why does it take so long to receive the proofs back? It takes approximately one month to deliver the wedding proofs to our clients. We take an average of 2K-3K photos per wedding. We spend time uploading, viewing, comparing, and culling the images. We then process the photos, which might include cropping, color enhancement, touching up blemishes, and other types of edits. When the photos are largely finished, we then design a password-protected gallery for you and your loved ones to view, share, and order the photos. What equipment and safeguards do you use? We shoot with multiple Canon dSLRs. We use a variety of professional lenses (prime, wide-angle, portrait, macro, zoom). We carry backup cameras, extra storage cards and batteries, and lighting equipment, so that we are prepared for whatever situation might pop up. We also back up your photos in Cloud storage in case of your own personal loss. These are all safeguards to ensure the ultimate protection of your photos.